HR software ‘gets it right’ in so many ways. What used to be provided by crudely-assembled mountains of data – mixed with the occasional ‘educated’ guess, is now supplied with incomparable precision. The accuracy of HR systems, of course, plays an important role in the present. But just as strikingly, it helps define a reliably clear picture of the future. Consider, for instance, the technology’s contribution to employee efficiency projections. In the less-sophisticated days of printed transmissions, HR managers faced the unenviable task of plowing through miles of information. Until this mission was accomplished, future employee efficiency was an unknown quantity. For all their efforts, however, the gain could be brutally disappointing. In fact, predictions often were considerably off-target. Thus, wrong decisions proliferated; productivity plunged. With HR software in place, management has a reliable tool for charting future performance. Key metrics are provided automatically and swiftly. These might include: length of time before employee productivity reaches a target level, resource allocation necessary to raise the performance level of new hires, the correlation of expected employee efficiency with revenue growth, and other vital measurements. The value of accurate information in these critical areas cannot be overestimated, as it will help influence company decisions and shape future outcomes. Human resource managers can expect the same accuracy when calculating employee costs. Leveraging the power of HR technology, managers can compare the costs of worker benefits with annual revenues, salary levels for each job category, and other key variables. Granted, management can obtain this data without the intervention of HR software. But the task will be long and cumbersome, demanding the compiling and comparing of countless electronic spreadsheets. 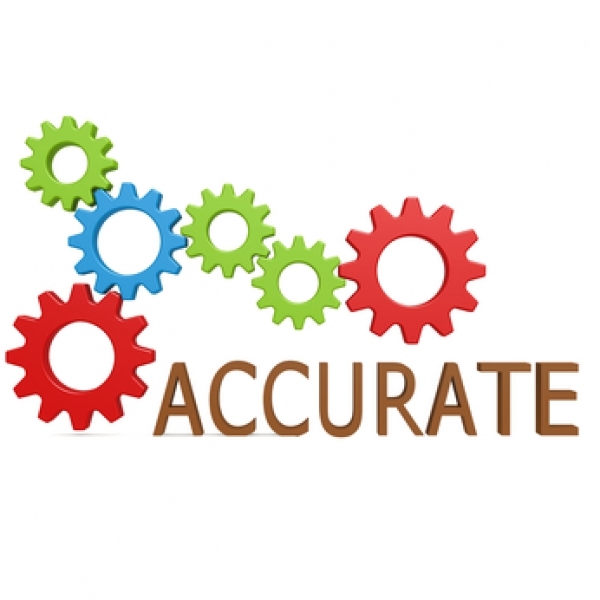 If you have any questions about the accuracy of HR software, please reach out to HRsoftware.ME. Our team will be happy to provide additional information and answers to all your questions.